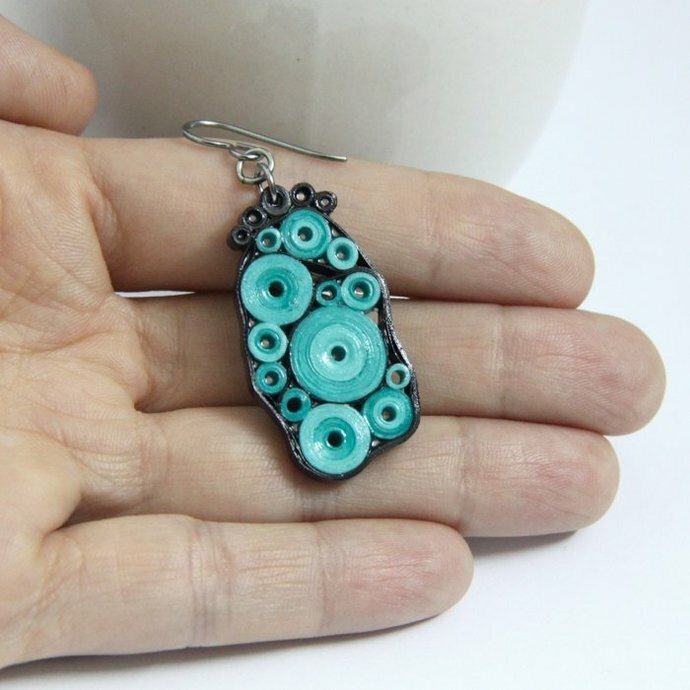 These groovy retro circles earrings are eco friendly and handcrafted by the art of paper quilling. 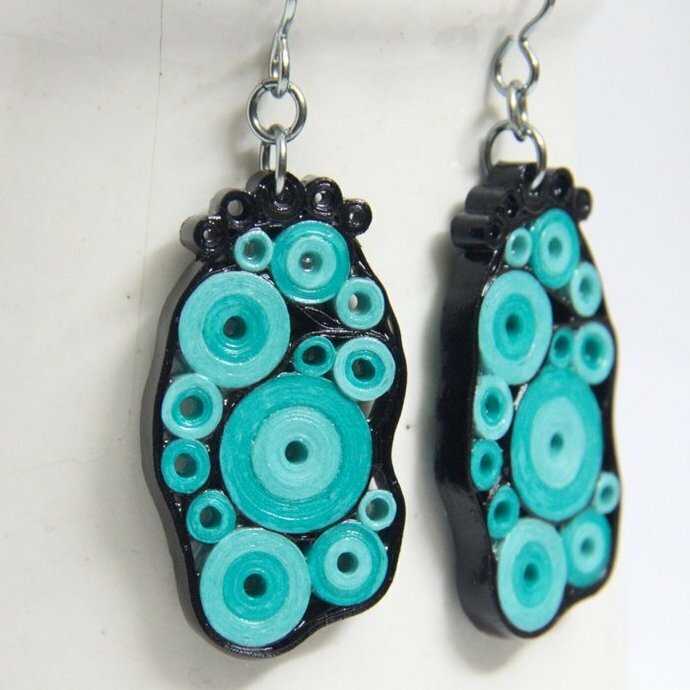 I use specialty quilling paper in shades of aqua, turquoise, and black to create these one of a kind earrings. These will look awesome with either casual or elegant attire and are sure to prompt many compliments! These special earrings are finished with niobium jumprings and earwires. Why niobium? It is non tarnish and as hypoallergenic as pure gold! I love using niobium for my own earrings and I know you'll love it too! Each earring measures approximately 1 3/8" (3.6cm) long and 1" (2.5cm) wide not including the earwire or jumprings. Like the design, but not the color? Simply purchase this listing and let me know in the notes what color(s) you would like and I'll make a special order just for you! This is a one of a kind design and cannot be replicated exactly, but I can do a similar style.